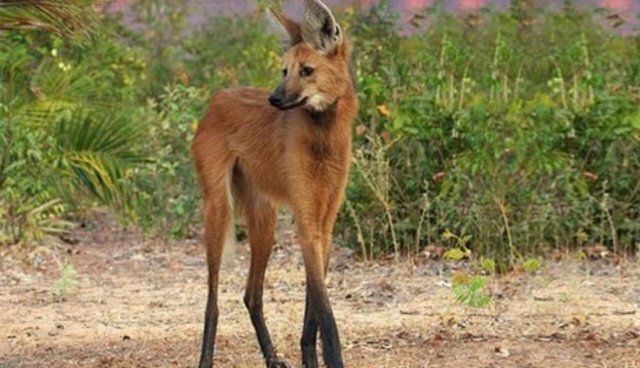 Never heard of the maned wolf? You're not alone. As one of the most unique mammals on the planet, the maned wolf does not get the recognition it truly deserves. In fact, maned wolves are so unique that many scientists believe the species is the lone survivor of the large South American canids that went extinct during the Pleistocene era. 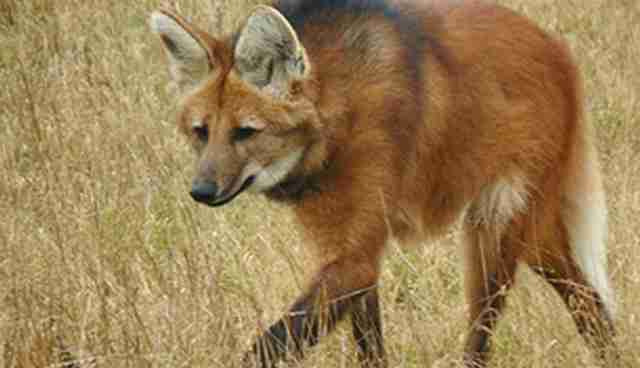 To this day, the maned wolf can be found walking within South American savannas. Their 3-foot tall stature, attributed to their long legs, helps them see above the tall grasses, a characteristic advantage in hunting. But their size as the largest known wild canid is not the only basis for their one-of-a-kind reputation. 1. They are not actually wolves. The maned wolf is not closely related to any animal. Although they are members of the canidae family, making them distantly related to wolves, they are actually not a member of the canis species, which represent dogs, foxes, wolves and coyotes. In reality, maned wolves are the only species of the Chrysocyon genus and more closely related to the bush dog and forest fox – and even that relation is a stretch. 2. They don't actually have a mane. The first part of the maned wolf's name is just as misleading as the first! While a long strip of black fur goes down the center of the maned wolf's neck and back, it is not any longer than any of the other fur on the animal's body. However, when the animal senses danger the black fur stands erect, giving it a "mane-like" appearance. 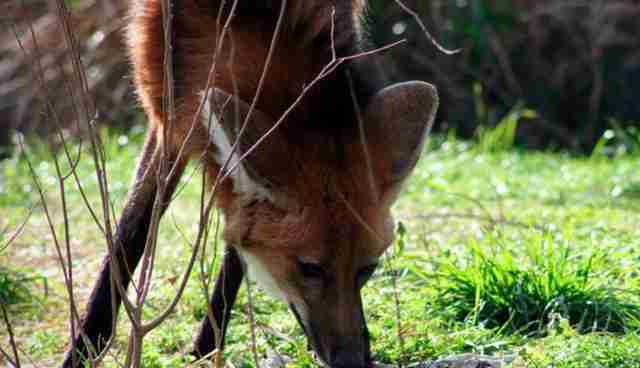 Otherwise, the maned wolf's red, brown, black, and white fur lies flat. A "wolf" that doesn't howl? Here is another indication of how the animal's name provides a misconception. 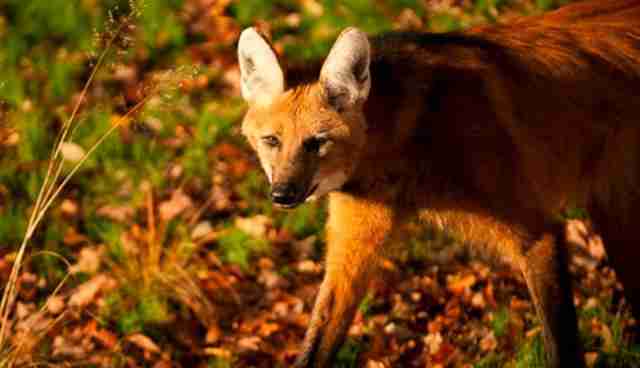 In terms of sounds, the maned wolf is known for their infamous, but seldom heard, roar-bark. The roar-bark is a deep, guttural sound that the animal uses to communicate over long distances. The mammals' primary form of communication, however, is urine. Maned wolves communicate via their olfactory sense and their urine conveys sexual interest, health, and marking territory. 4. They don't just eat meat. 5. They do not travel in packs. The word "wolf" immediately brings to mind the word "pack", but if we've learned anything so far it's that names are misleading! Maned wolves are predominately independent animals that spend the majority of the year living and hunting solo. Interestingly, however, maned wolves are monogamous and return to the same mate for every breeding season. 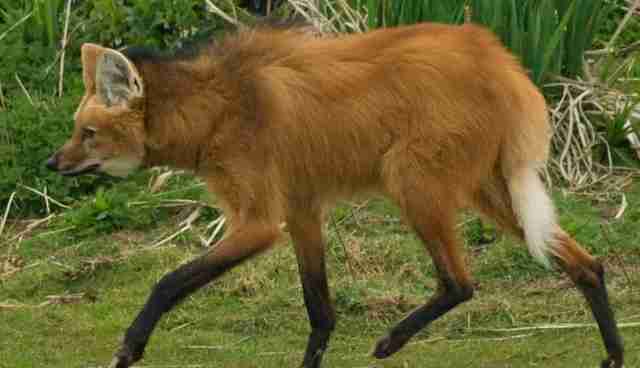 So, it is easy to see how anyone can misinterpret the characteristics of the maned wolf based on its name alone. What is the take away? Do not judge an animal by its name alone. The animal did not choose it. Author's note: Maned wolves are currently at "near threatened" status on the IUCN Red List, with habitat destruction being the predominant reason for population decline.